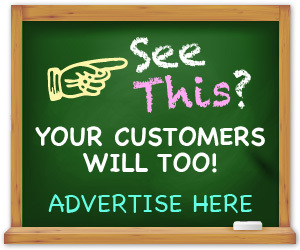 My business is unique in the way I offer services you don`t see very often or nearly at all in the horse industry. 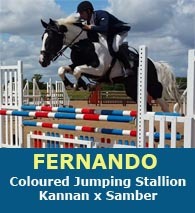 My passion is to suitably match up Horse and Rider so both can excel and be the most successful team together. Not all people get along, same goes for horses and people. I`ll do the hand holding and protect you the buyer. Check out my affordable rates. Barrel Patterning; Currently taking on client horses to show them the basic ABC`s of the pattern to prepare for the road. Brenda STRONGLY believes that ANY horse`s training must come from the foundations of the Reining Discipline to have the Softness, Suppleness & Control of the Horse. 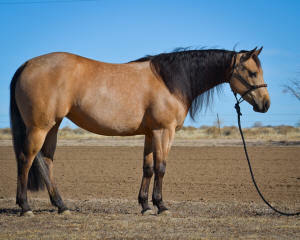 Brenda`s Passion is running barrels, but she has the most respect for the Reining Discipline! 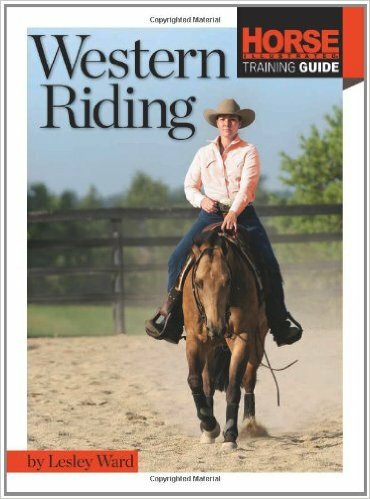 The Horse Illustrated Guide to Western Riding covers the fundamentalsfrom loping and galloping to trail riding and showing. 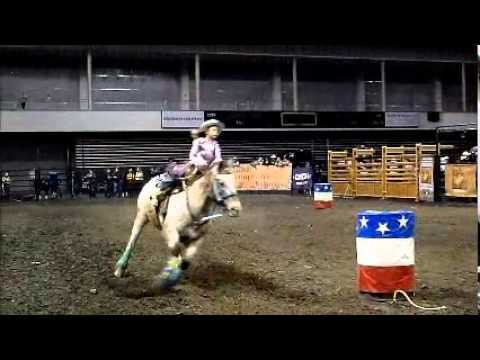 The Rodeo world has a unique fast event called barrel racing. This involves the cowboy or cowgirl riding a horse in an arena and runs from the starting line, around three barrels in a cloverleaf pattern and then back to the starting line within a short time. 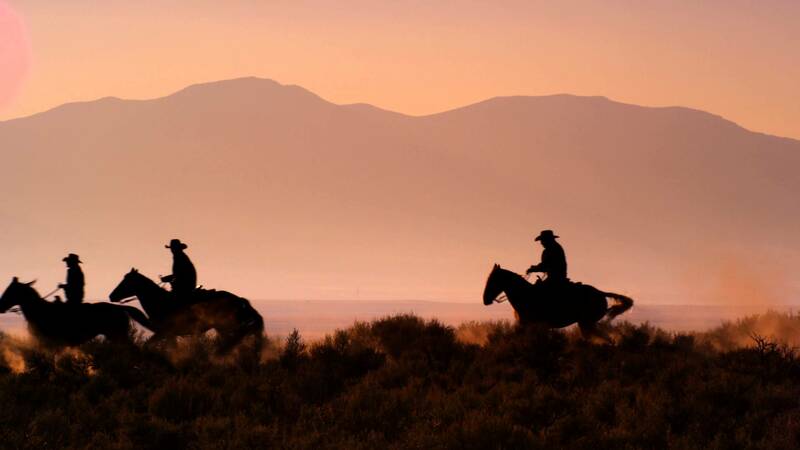 It is a sport that involves a lot of energy and concentration so the rider should have great horsemanship skills and the horse should be fit and in good mental condition. This is quite crucial since they will be maneuvering through barrels at top speed. Initially, when it started, it was a women`s event and the patterns alternated from the clover leaf and figure eight. The men used to take part in athletic rodeos such as bull, roping or bronco riding. Speed was not important as now, and the only determinants for the riders score were their outfits and horsemanship that they showed while navigating the pattern. 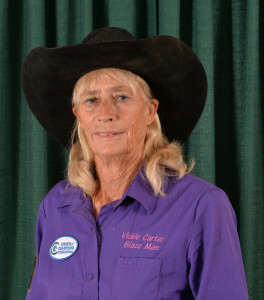 It became about speed in 1949 after a group of women formed the Women`s Professional Rodeo Association. Now it is open for men and women of all ages, and they can participate at all levels including the weekend riders and professional. Barrel racing basics involve placing three barrels in the arena in a pattern of a cloverleaf where the rider has to negotiate the pattern apparently. 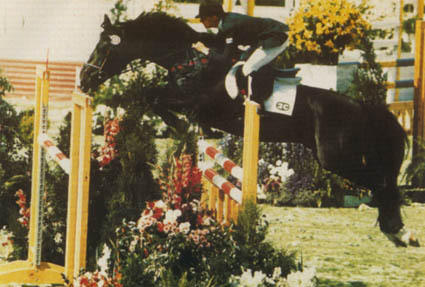 When the rider enters the arena with a gallop towards the first barrel, he can choose to start either from the right side or the left side and then do a complete circle on the barrel. They will then steer the horse the second and third barrels and make sure they go around them, after which they head to the finish line at top speed, and the clock stops. The distance between the barrels will differ depending on the organization. However, the most common distance is 9 feet between the first and second barrel, 105 feet between the first and third barrels and second and third barrels and 6 feet from the start line and first and second barrel. They rise the leader board depending on how fast the rider will complete the pattern at the best time with communication explosiveness and without overturning the barrels. 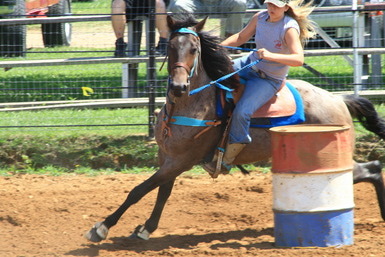 A successful barrel racing run comes about if one can negotiate the pattern without knocking over a barrel within a short time. 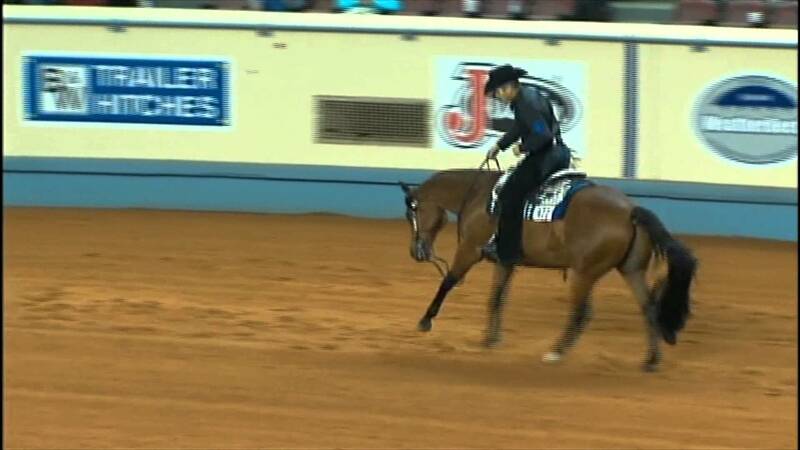 Any barrel that falls earns 5 seconds more to the rider�s time, and if they deviate from the pattern, no scores are given. Most organizations use electric timers instead of stopwatches as they are more accurate and eliminate the chances of human error. Appropriate gear has to be in place while racing. 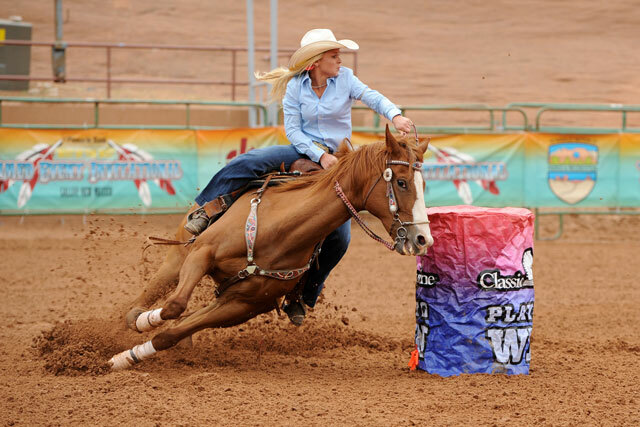 A barrel racing saddle is necessary for safety and comfort. The saddles have short skirts and deep seats that allow one to have more contact with the back of the horse hence greater stability. 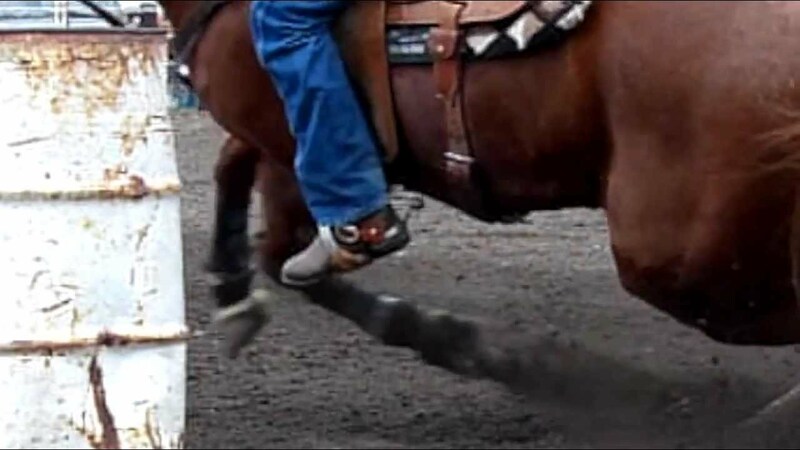 The horse should have sports shoes that are durable at every run as they support its tendons as they charge. 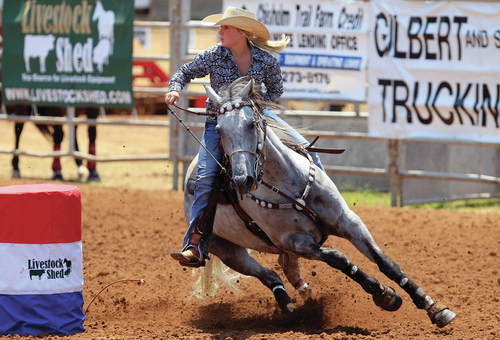 Rules vary when it comes to having to use a whip or quirt which is used to encourage the horse to run faster.